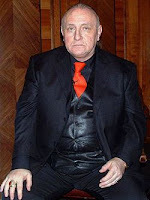 Bandler NLP: No Longer Plausible: training’s shameful, fraudulent cult? Richard Bandler, a cocaine addict, was arrested for murdering a prostitute by shooting her in the head, the girlfriend of his drug dealer. Despite the presence of her blood on Bandler’s shirt both he and the drug dealer admitted being in the room when she died but as each accused each other, both were acquitted. No one has been charged with the crime. He's one of the founders of NLP. These founders and their heirs have been involved in incredibly bitter disputes about the so-called theory and ownership of the NLP brand. NLP propelled itself into the heart of the training world. Yet NLP (Neuro-Linguistic Programming) has little to do with serious neuroscience or linguistics, and is not taken seriously by academics in either field. However, it certainly is a programme. Indeed it has been criticised for being a ‘programme’, many seeing it as not more than a well-marketed cult. NLP is not a unified theory, it’s a mixed bag of modelling techniques, where tutors diagnose people through keywords (predicates) and eye movements. The claim is that rapport can be enhanced using these techniques, therefore fooling people into doing what you want; working harder, buying your product etc. So can we tell from simple scientific trails whether this is all true or not? Heap did exactly this. He looked at the scientific literature and found that PRS is not serious science. He found that 'keywords' are not indicators in the way NLP practitioners claim and ‘eye movement’ theories are, in particular, widely rejected. On establishing rapport Heap also found that there was no scientific evidence for the claim that these techniques improve rapport. Cody found that NLP therapists, using language matching, were actually rated as untrustworthy and ineffective. Heap concludes that NLP is “found to be lacking” and that “there is not, and never has been, any substance to the conjecture that people represent their world internally in a preferred mode which may be inferred from their choice of predicates and from their eye movements”. Sharpley’s 1984 literature review found "little research evidence supporting its usefulness as an effective counseling tool" no support for preferred representational systems (PRS) and predicate matching, then in a 1987 study states "there are conclusive data from the research on NLP, and the conclusion is that the principles and procedures of NLP have failed to be supported by those data". USNRC produced an academic report stating that "individually, and as a group, these studies fail to provide an empirical base of support for NLP assumptions...or NLP effectiveness.". The whole edifice of influence and rapport techniques "instead of being grounded in contemporary, scientifically derived neurological theory, NLP is based on outdated metaphors of brain functioning and is laced with numerous factual errors". Efran and Lukens (1990) stated that the "original interest in NLP turned to disillusionment after the research and now it is rarely even mentioned in psychotherapy". In his book, The Death of Psychotherapy, Eisner couldn’t find “one iota of clinical research” to support NLP. Even Albert Ellis,the grandfather of cognitive behavioral therapy, specifically identified NLP as one of those, techniques to be avoided. This was the one therapy he abhorred because of its “dubious validity”. Tomasz Witkowski in his paper Thirty-Five Years of Research on Neuro-Linguistic Programming. NLP Research Data Base. State of the Art or Pseudoscientific Decoration? puts the theory to the test. Despite its aggressive marketing and application in training, Witkowski asks; ‘Why is NLP completely absent from psychology textbooks?’ Rather conveniently, Bandler didn't think that empirical testing was necessary and is openly contemptuous of such an approach. However, it is important to look at the theory from a perspective that is free from the biases of its practitioners (as they believe the theory and make money from the practice) and the patients (who may be subject to manipulation and false belief). However, after subjecting NLP research to the filters of reputable, peer=reviewed journals he finds, quite simply, that that is “pseudoscience” and should be “mothballed”. Corballis (1999) is even more scathing, "NLP is a thoroughly fake title, designed to give the impression of scientific respectability. NLP has little to do with neurology, linguistics, or even the respectable sub-discipline of neurolinguistics". Others, such as Beyerstein, accuse NLP of being a total con, new-age fakery to be classed alongside scientology and astrology. Beyerstein (1990) asserts that "though it claims neuroscience in its pedigree, NLP's outmoded view of the relationship between cognitive style and brain function ultimately boils down to crude analogies." So, having been abandoned by serious theorists it is still hanging around in education and HR. Von Bergen et al (1997) showed that NLP had been abandoned by researchers in experimental psychology and Devilly (2005) makes the point that NLP has disappeared from clinical psychology and academic research only surviving “in the world of pseudo new-age fakery and, although no longer as prevalent as it was in the 1970s or 1980s… is still practiced in small pockets of the human resource community”. The science has come and gone, yet the belief still remains. So why is a theory with no credible academic basis in psychology, linguistics and neuroscience still being delivered as serious training? NLP rose on the back of a recent movement that saw marketing trump science. Aggressive selling of pop psychology has led to an explosion of ‘courses’ on NLP, learning styles, brain gym and dozens of other non-validated theories. It would seem that the training world is sometimes happy buying and selling cleverly marketed classroom ‘performance’ products that are, in fact, pseudoscience. Sharpley C.F. (1987). " Research Findings on Neuro-linguistic Programming: Non supportive Data or an Untestable Theory ".Communication and Cognition Journal of Counseling Psychology, 1987 Vol. 34, No. 1: 103-107,105. Druckman and Swets (eds) (l988) Enhancing Human Performance: Issues, Theories, and Techniques, National Academy Press. Seligman (1942 - ) Pied-piper of ‘positive’ psychology but at expense of realism? 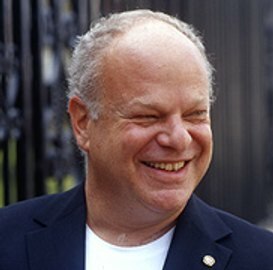 Martin ‘Marty’ Seligman, is the Chair of the American Psychology Association and Professor of Psychology at the University of Pennsylvania, is the father of positive psychology, he attempts to rebalance psychology towards the positive study of the mind, as opposed to its traditional bias towards the negative and pathological. His early research into ‘learned helplessness’ led him towards a redefinition of psychology that saw study of the mind not as the study of what is wrong but what can be right. It was also a reaction against DSM-led psychiatry (Diagnostic and Statistical Manual of Mental Disorders), that had overseen a massive rise in mental disorders and drug use in the US population. His influence has extended beyond academia to the promotion of positive thinking and happiness as an indicator of well-being in society. Many politicians, business people and educators have seen in this work, a new way of looking at society and organisations, with more focus on the psychological health (happiness) of individuals. It is often forgotten that the ‘happiness’ debate goes back to the Greeks and was played out in detail with Bentham and Mill in the late 18th, early 19th century. ‘The Greatest Happiness Principle’ led to a definition of happiness in terms of pleasure and the absence of pain. However, Bentham’s ‘hedonic calculus’ proved too awkward to use in any practical sense. Mill opted for quality, not quantity, with a focus on higher pleasures, but there were still problems of definition, and measurability. The arguments that ‘happiness’ is vague, difficult to measure and cannot be used as a guide for moral or social well-being, remain a problem for the postiive psychology school. Barbara Ehrenreich, in Smile or Die, is one of many who have criticised the rise of positive psychology and thinking. She thinks the ‘happy’ movement replaces reality with positive illusions. You can think positively but “at the cost of less realism”. For Ehrenreich it is this optimism bias that leads to megalomaniac business leaders, failed projects, missed sales figures, unrepayable debt and failure. Seligman is seen as the pied piper of the positive psychology movement but Seligman’s book Authentic Happiness was been seen by as Ehrenreich as a “jumble of anecdotes”. She found his formula for happiness banal: H= S+F+C (Happiness = set range, circumstances and voluntary control). In the The Journal of Happiness Studies she reads study after study linking happiness to every conceivable outcome but it’s a lop-sided view of the world, with no room for negative results. The recent financial bubble, she claims, was built on the false optimism of being positive about everything. At the heart of the economic crisis was an epidemic of self-delusion. Bankers and advisors were coked up on a heady mixture of motivational speakers, motivational literature and coaches. Ehrenreich slates Tim Robbins, Chris Gardner and Chuck Mills for creating a ‘woo’ culture of high fives and leaders who became “megalomaniac, narcissistic solipsists”. Bankers and others built bubbles around themselves, all within a mega-bubble of debt. As Paul Krugman said “nobody likes to be a party pooper”. Ehrenreich refuses to “fake sincerity” and “retreat from the real drama and tragedy of human events” and sees a wider positivist force at work in education and training. She slams infantile books like; Who moved my cheese? Chicken Soup for the Soul, The Secret etc. for selling snakeoil solutions to vulnerable people. It is always happy hour for the “professionals who peddle positivity”, as they make huge sums of money from the selling these illusions. Positively, however, Seligman’s work has led to a re-examination of the purpose of education, training and social aims beyond their tendency to focus on deficit models. The well-being of the person and learner has been brought into the equation, with sensitivity around positive traits and the teaching of social and emotional skills beyond the academic curriculum. Just like Mill in the 19th century he has had to soften his position on ‘hapiness’ in his 2011 book Flourish. Even positive psychology had a positive and a negative side. On the one hand it has rebalanced the science of psychology, traditionally weighed down by the psychoanalytic and psychiatric tradition of seeing the mind in pathological terms. However, as a science in itself, it may have swung too far in the other direction producing an epidemic of false optimism and positivity in politics, business and education. Some Human Resources departments and educationalists are perhaps too eager to adopt this faddish narrative, using ‘positive’ and ‘good’ interchangeably, leading to megalomania in management and business practice. It may not be a matter of optimism versus pessimism, but realism versus illusions. Bentham J. (1907) An Introduction to the Principles of Morals and Legislation, Oxford: Clarendon Press. Mill J. S. Utilitarianism, Roger Crisp (ed. ), Oxford: Oxford University Press, 1998.Bentham J. (An Introduction to the Principles of Morals and Legislation. Seligman, M. E. P. (1991). Learned Optimism: How to Change Your Mind and Your Life. New York: Knopf. Seligman, M. E. P. (1993). What You Can Change and What You Can't: The Complete Guide to Successful Self-Improvement. New York: Knopf. Seligman, M. E. P. (1996). The Optimistic Child: Proven Program to Safeguard Children from Depression & Build Lifelong Resilience. New York: Houghton Mifflin. 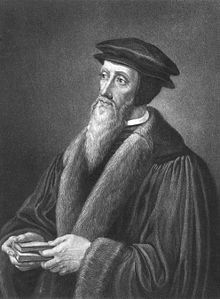 Calvin, with Luther, was a hugely influential Protestant reformer who attacked the Catholic Church and worked towards a return to a more basic form of Christianity based on a personal relationship between God the creator and his subjects. It is also important to remember that his intellectual lineage from St Augustine, so predestination, sin and eternal damnation figured large in his theological beliefs. In education, this reformed approach gave new impetus to self-improvement and universal schooling, made possible by the massive rise of printed books. Northern Europe and North America for centuries, with its deficit model, matched by righteous schoolmasters who had to drill, beat and moralise leaners into improvement. Discipline, attention and punctuality were to become the virtues of the schoolroom. Illich thought that Calvinism had literally shaped schooling as we know it, with school as the new form of secular salvation. His second influence is on his emphasis one universal education from an early age. Education was part of the Protestant mission and compulsory schooling was to be encouraged for all and so he encouraged the building of schools and free schooling for all, especially the poor. Through reformers like John Knox, schools were formed in every parish and they were to shape the Prussian model under Friedrich Wilhelm I, then the Napoleonic model and much of modern institutional learning, even into North America. Literacy was a virtue as it enabled the personal study of scripture direct from the printed word. Luther was another great influence on this policy. As an active promoter of the new publishing industry, he saw our personal relationship with God being truly mediated, not by the church and priests, but through personal reflection. Calvin’s support for the printed word, mostly scripture, came at a time in Europe when the print revolution was exploding and as books were no longer scarce, reading became a major pedagogic force. Perhaps his most enduring, influence is on preaching, exposition and the repetition as pedagogic techniques. In other words, the traits of the preacher were to become that of the teacher. Regular singing of Psalms, repetition of the Lord’s Prayer, moral assemblies each morning all made their way into schooling, reinforced in the Victorian era when schooling became compulsory and large numbers of children had to be looked after and schooled, as their parents were working in factories. We are still mired in this protestant pedagogy, if not its theological predilictions. It has been argued that the Reformation, and Calvinism in particular, sees education as the rectification of weakness and not the building of strengths. What is produced and exposed is not success but failure, leading to fixed curricula, obsessive testing and a deficit model that interprets education in pathological terms. It can also be argued that many of the institutional behaviours and practices in schools regiment children in a way that as unnatural and unnecessarily restrictive. Morning assemblies, the teacher as transmitter of knowledge , rows of desks, bells on the hour, drill and practice, can be seen as strict Calvinist practices, where students are regarded as sinful beings that have to be saved from ignorance. Calvin’s influence on education through universal schooling has been immense, as is his influence on attitudes towards education as a deficit model, where the students are seen from the start as a flawed creatures. This led to methods of teaching that are only now being re-examined. In a sense Calvin has been a curse and a blessing, with his emphasis on the virtues of education combined with the vices of, for example, teachers as preachers. Maslow (1908 - 1970) Hierarchy of needs. 5 or 7 levels? Useful or useless? Maslow’s hierarchy of needs has been an omnipresent feature in education, training and management courses for over 70 years. Few question its validity, yet it may owe its popularity to nothing more than the fact that a coloured pyramid looks good in PowerPoint. First up - Maslow never represented his hierarchy as a pyramid. that was a later invention. More worryingly, his research was woeful and the model is fatally flawed. Could we have been that gullible? 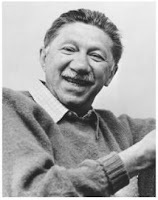 Abraham Maslow, the American psychologist, claimed that living beings prioritise needs. In his paper, A Theory of Human Motivation, published in 1943, he took a rather simplistic view of developmental psychology based on an examination of successful people. The hierarchical theory was fully realised in his 1954 book Motivation and Personality where he stripped learning and training back to a hierarchy of basic human needs and desires, in an attempt to understand what motivates people to learn. The first four are all ‘deficit’ or ‘D-needs’. If they are not present, you’ll feel their absence and yearn for them. When each is satisfied, you reach a state of homeostasis where the yearning stops. It's simple and has an intuitive appeal. The last, self-actualisation, does not involve homeostasis, but once felt is always there. Maslow saw this as applying to only a few people, whose basic four levels are satisfied, leaving them free to look beyond their deficit needs. He claimed to have used a qualitative technique called ‘biographical analysis’ where he looked at high achievers and found that they enjoyed solitude, close relationships with a few rather than many, autonomy and resist social norms. Spontaneity, simplicity and respect for others were other characteristics. What is rarely known is that Maslow, in 1970, changed his original model, developed in the 1950s, from 5 to 7 levels of need. He added 'Know and Understand' and 'Aesthetic'. This upgraded model was largely ignored, as the earlier model had become so deeply embedded in teacher and trainer training courses. Anyone familiar with epistemology and aesthetics will immediately see the problem. Both are notoriously difficult to define. Although hugely influential, his work was never tested experimentally at the time and when it was, from the 70s onwards, was found wanting. Empirical evidence showed no real evidence in terms of a strict hierarchy, nor the categories, as defined by Maslow. Where evidence was provided, it was scant. For example, he only inlcuded two women in his list of self-actualised people - Elanor Roosevelt and Mother Teresa. It is hard to imagine that a full theory of human nature could be built upon such limited and extreme examples. The self-actualisation theory is now regarded as having no real value as it is wholly subjective. The problem is his slapdash use of evidence. Self-actualised people are selected by him then used as evidence for self-actualisation. His ‘biographical analysis’ was armchair research. based on a self-selected group of just 18 people and in itself is defined in terms of a set of subjective criteria. As there is no control group, this is simply circular. His list of 18 self-actualized people included Einstein, Mother Teresa, Gandhi, Beethoven, Lincoln, Eleanor Roosevelt and, of course - Abraham Maslow! Kenrick et al. (2010) found huge variance in Maslow's so-called self-actualised people, showing divergence rather than convergence. An even weaker aspect of the theory is its strict hierarchy. It is clear that the higher needs can be fulfilled before the lower needs are satisfied, so the theory has been repeatedly falsified. There are many counter-examples and indeed, creativity can atrophy and die on the back of success. Maslow himself, felt that the lines were not that clear. In short, subsequent research has shown that his hierarchy is crude, as needs are pursued non-hierarchically, often in parallel. A different set of people could be chosen to prove that self-actualisation was the result of, say, trauma or poverty (Van Gogh etc.). The main problem is the reductive nature of the analysis ignores the much messier nature of motivation. In general, the whole idea has been abandoned in modern motivational theory. Typical of the many studies that show the irrelevance of the hierarchy is Tay and Diener (2011), where 60865 people from 123 countries were questioned on Maslow's needs. It showed that the hierarchy was quite simply wrong. 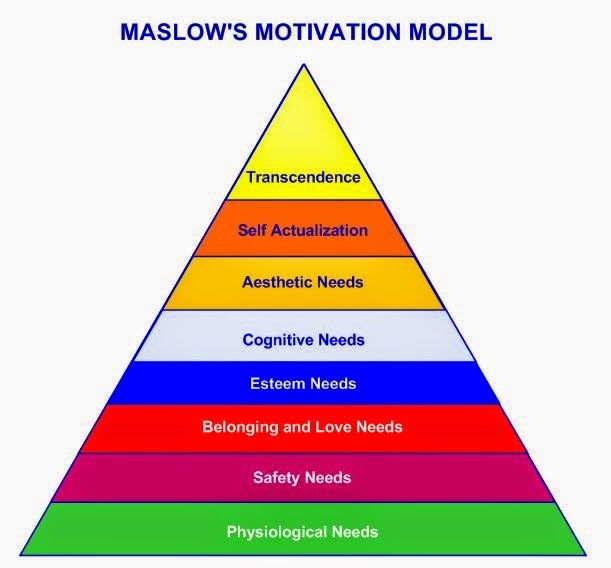 Subsequent research shows that real needs and motivations do not fall into this neat pyramid or hierarchy. For example Rutledge (2011) claims that complex social connections are needed for all of the assumed levels in the hierarchy and that it falls apart when this is taken into account. His hierarchy is often hauled into teacher training programmes, without any real understanding of why and whether the theory is indeed correct, beyond some simple truisms. It's appeal seems to lie in the endless repetition of a clear and simply coloured pyramid, rather than any evidence or sophistication in terms of human nature. One thing that helped Maslow become the guru of motivation was that his books were very popular and he was part of a sixties movement that helped promote his views. He was friends with people like Timothy Leary (Maslow’s daughter Ellen was Leary’s research assistant). Linda Sargent Wood writes in A More Perfect Union about the rise of these holistic, utopian visions for humanity. She shows that these were largely populist, and not research or evidence-based movements. This was to be their downfall. Indeed, apart from being fossilised as a component in bad teacher-training and train the trainer courses, it is hard to see how it has any real relevance to what teachers, trainers, lecturers or instructors actually do when they teach. It is clear that having somewhere to live, food to eat, friends, and feeling safe are important but not in the hierarchical or developmental way they are presented. As a teacher, or manager, one can recognize the basic needs of a person without recourse to the structure at all. Indeed, it may be misleading. Most sets of indicators for the well being of children are more complex, sophisticated and do not fall into a simple hierarchy. There are many such schemas at international (UNICEF) and national levels. They rarely bear much resemblance to Maslow’s hierarchy. Maslow has been almost omnipresent in education and training. However, it is not clear that his theory has had any real effect other than encouraging people to look at others as human beings, rather than subject to some instrumental manipulation. This is an entry from Maslow's own journal in 1962, 'My motivation theory was published 20 years ago... in all that time nobody repeated it, or tested it, or really analyzed it or criticized it. They just used it, swallowed it whole with only the most minor modifications'. He was right. It isn’t a hierarchy, wasn’t tested and as a theory of human nature it is simplistic and banal. To argue that the theory, although wrong, is useful, as it promotes a holistic view of learners, employees, managers etc. is to open the door to any old theory that fits a prejudice. It seems to live on, when it should have been replaced by better theory, perhaps because of the colourful triangle that looks great as a PowerPoint slide! Wahba, A; Bridgewell, L (1976). 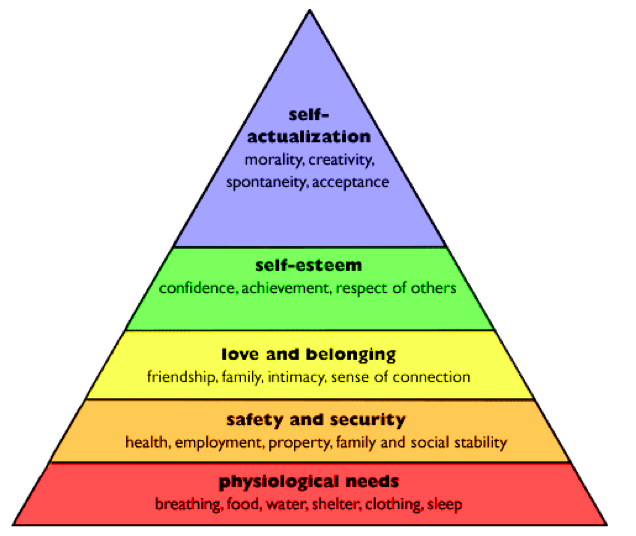 "Maslow reconsidered: A review of research on the need hierarchy theory". Organizational Behavior and Human Performance (15): 212–240. Wood L.S. (2010) A More Perfect Union. Oxford University press.